Americans are spending their lives farther from forests than they did at the end of the 20th century and, contrary to popular wisdom, the change is more pronounced in rural areas than in urban settings. A study published today (Feb. 22) in the journal PLOS ONE says that between 1990 and 2000, the average distance from any point in the United States to the nearest forest increased by 14 percent - or about a third of a mile. And while the distance isn't insurmountable for humans in search of a nature fix, it can present challenges for wildlife and have broad effects on ecosystems. Dr. Giorgos Mountrakis, an associate professor in the ESF Department of Environmental Resources, and co-author of the study, called the results "eye opening." 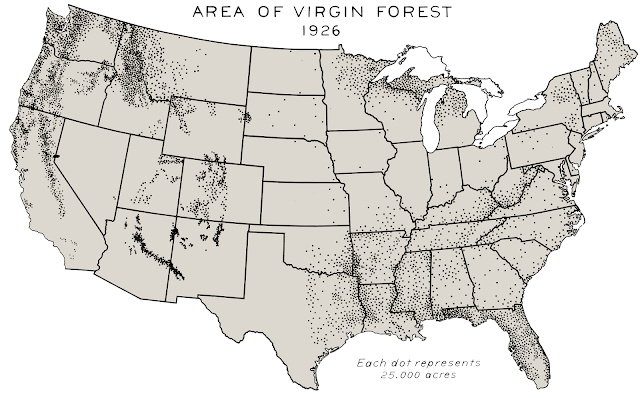 "Our study analyzed geographic distribution of forest losses across the continental U.S. While we focused on forests, the implications of our results go beyond forestry," Mountrakis said. The study overturned conventional wisdom about forest loss, the researcher noted. The amount of forest attrition - the complete removal of forest patches - is considerably higher in rural areas and in public lands. "The public perceives the urbanized and private lands as more vulnerable," said Mountrakis, "but that's not what our study showed. Rural areas are at a higher risk of losing these forested patches. "Patches of forests are important to study because they serve a lot of unique ecoservices," Mountrakis said, citing bird migration as one example. "You can think of the forests as little islands that the birds are hopping from one to the next." 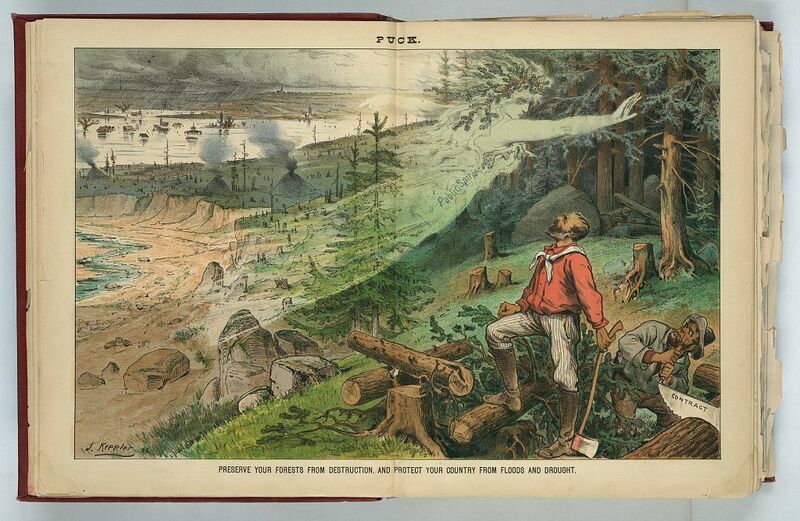 Illustration shows a female spirit labeled "Public Spirit" warning two men cutting logs, of the consequences of deforestation. "Typically we concentrate more on urban forest," said Sheng Yang, an ESF graduate student and co-author of the study, "but we may need to start paying more attention - let's say for biodiversity reasons - in rural rather than urban areas. Because the urban forests tend to receive much more attention, they are better protected." Forest dynamics are an integral part of larger ecosystems and have the potential to significantly affect water chemistry, soil erosion, carbon sequestration patterns, local climate, biodiversity distribution and human quality of life, Mountrakis said. Using forest maps over the entire continental United States, researchers compared satellite data from the 1990s with data from 2000. "We did a statistical analysis starting with forest maps from 1990 and compared it to forests in 2000," said Mountrakis. The study looked at the loss of forest by calculating the distance to the nearest forest from every area in the landscape, Mountrakis said. The loss of a smaller isolated forest could have a greater environmental impact than losing acreage within a larger forest. 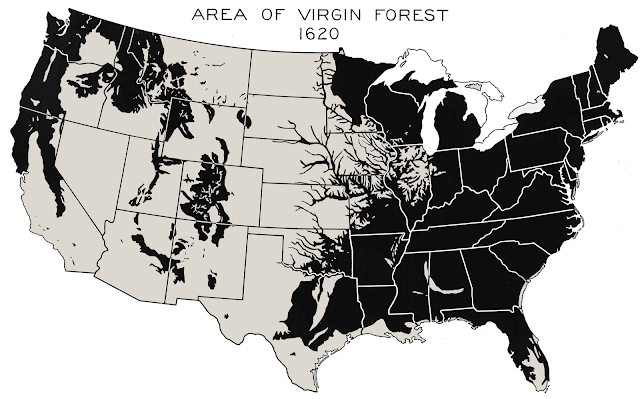 The study also found distance to the nearest forest is considerably greater in western forests than eastern forests. "So if you are in the western U.S. or you are in a rural area or you are in land owned by a public entity, it could be federal, state or local, your distance to the forest is increasing much faster than the other areas," he said. "The forests are getting further away from you." "Distances to nearest forest are also increasing much faster in less forested landscapes. This indicates that the most spatially isolated - and therefore important - forests are the ones under the most pressure," said Yang. The loss of these unique forests proposes a different set of side effects, Mountrakis said, "for local climate, for biodiversity, for soil erosion. This is the major driver - we can link the loss of the isolated patches to all these environmental degradations." Along with research into the drivers behind the loss of forests, Mountrakis expects the differing geographic distributions and differences in land ownership and urbanization levels will initiate new research and policy across forestry, ecology, social science and geography. This work was supported by the National Urban and Community Forestry Advisory Council and the McIntire-Stennis program, U.S. Forest Service.